It looks like Khabib Nurmagomedov finds various ways to have fun these days. UFC 229 post-fight brawl brought a serious set of complications into his life. His friend Zubaira Tukhugov is removed from the bout versus Artem Lobov at UFC Fight Night 138. The Eagle threatened to leave the promotion if his loyal friend loses his job. And then, of course, 50-cent stepped in with a spectacular offer! The popular rapper said he is ready to pay $2 million to Khabib Nurmagomedov to sign for Bellator MMA! Khabib Nurmagomedov made a joke about a potential move to boxing. He was hanging with Mayweather Productions CEO Leonard Ellerbe. In an Instagram video posted by DeJuan Blake, he had an interesting offer for Money. Khabib also reminded Mayweather what happened in the second round of his match versus Conor. Khabib’s words actually make sense. His weaving overhand right at the beginning of the second round sent Mystic Mac to the ground. He is actually the only fighter who knocked Conor McGregor down. Floyd Mayweather Jr defeated The Irishman via 10th round TKO. The referee stopped the fight after a flurry of punches but Conor’s knee didn’t touch the ground! 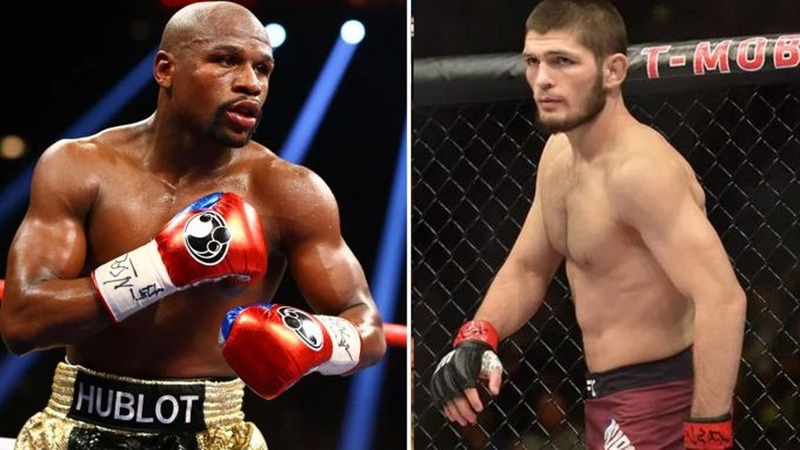 There are very small chances that Nurmagomedov Vs Mayweather showdown will ever happen. Yet, this is a great way to get rid of stress and have fun. Khabib Nurmagomedov still hasn’t been paid for his spectacular victory over Conor McGregor. NSAC (Nevada State Athletic Commission) is on the move. Even Artem Lobov begged Dana White to keep Zubaira Tukhugov in the promotion! Dana White needs to understand that Khabib definitively doesn’t plan to leave his friend behind! What do you think, what will happen next?